Discover NeckProtect – the patented and truly anatomically shaped neck support pillow, our versatile Royal Vario, the lightweight Summer duvet Dynamic ultralight and certainly our Centa-Star limited editions. C5 to C7 and releases C1 and C2, so that the neck can return to its natural ‘C’ shape. 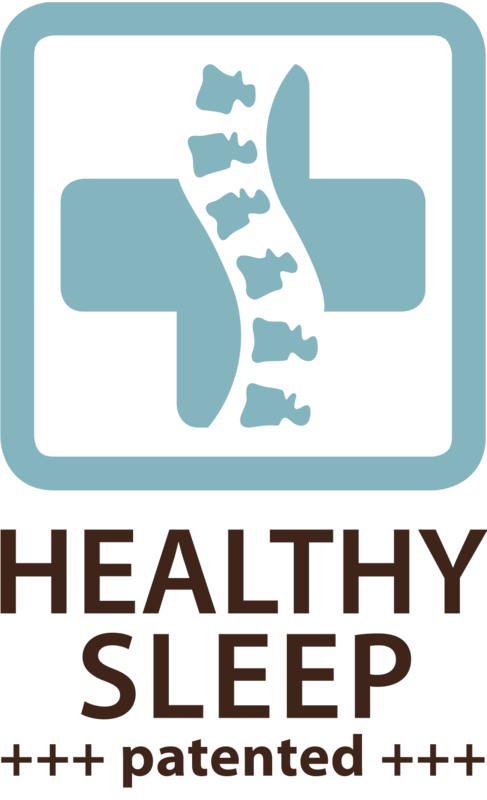 Abnormal postures are gently corrected, taking away the cause of many different types of pain while you sleep. The highest point of support is on the lower cervical spine (C5 – C6), where most cases of slipped discs occur. It relieves the pressure-sensitive upper cervical vertebrae Atlas and Axis. When you lie on your side, tension is also relieved in your ears and temporomandibular joints. The unique curved shape of the pillow counteracts the number one problem head posture of everyday life, a straightened cervical spine (“smartphone neck”). 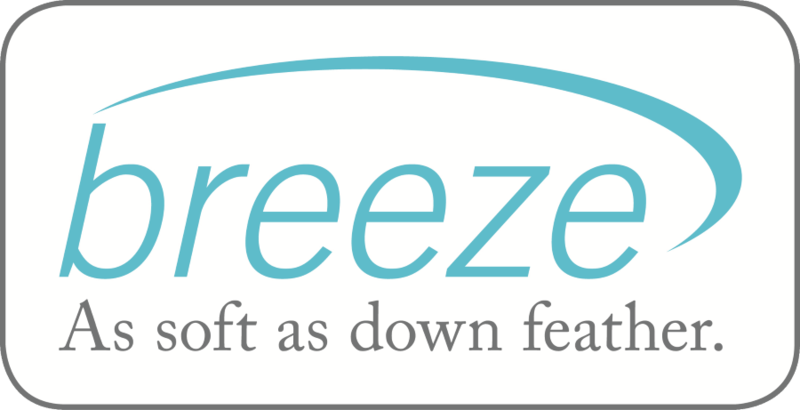 The integrated support zone ensures a smooth transition to the thoracic spine when lying on your back. The double curved shape of the pillow and the different heights of the ribs allow you to adjust the level of support on the anatomic “hot spots” (C2 – C7). The Boris Biebl ChiroCenter in Bottrop is one of the very few practices in Germany for original American chiropractic, neurochiropractic and sacro-occipital techniques. In 2013, Biebl developed the first truly anatomically shaped pillow that supports healthy lordosis and a side pillow to relax the shoulder girdle – a world’s first! He was granted two international patents for this innovation in 2016 and 2017. 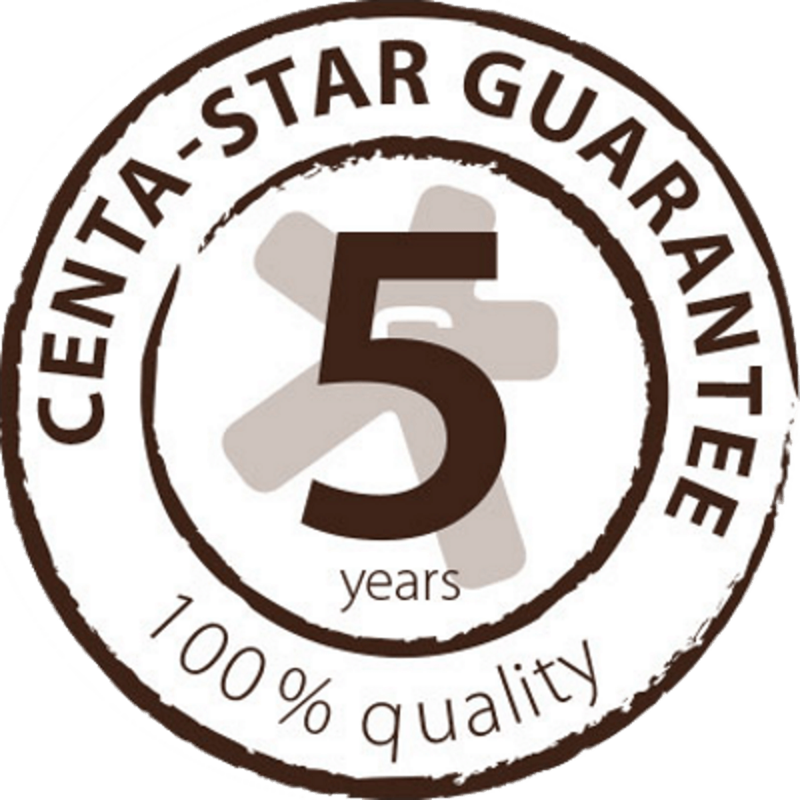 In its final stages of development, the pillow was honed to perfection for Centa-Star, and NeckProtect was born! NeckProtect comes in different pillow foams. Starting from the balanced NeckProtect Ultra, you simply choose whether you want more or less support and how quickly – or slowly – you want your NeckProtect pillow to adjust to your posture when you change position. Four neck support pillows – four high-tech materials: all NeckProtect pillows and the side pillows are encased in premium covers with a wave-like structure. 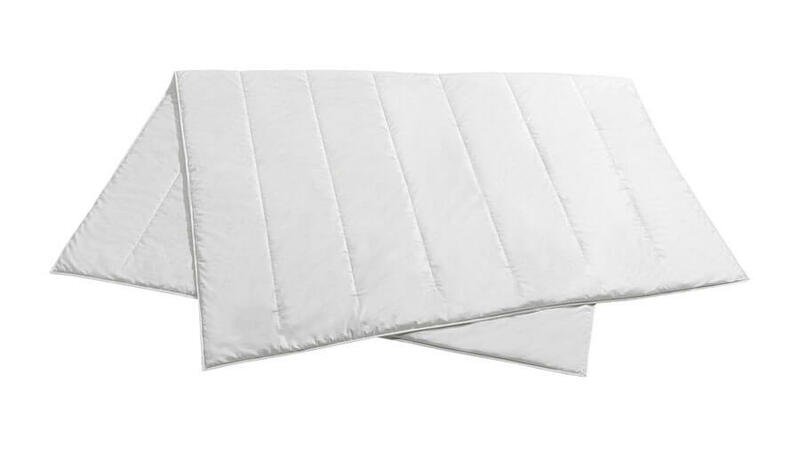 The covers are washable up to 40°C. The raised hand supports of the side pillow prevent twisted shoulders and arms to give deep relaxation to the shoulder girdle, where tension is often stored. It doesn’t matter which side you prefer to lie on: the side pillow has one hand support on either side of the Neck- Protect neck support pillow. It allows you to surf, read and watch films in perfect relaxation – no more numb fingers or arms that go to sleep. It’s really easy to fix the side pillow to the NeckProtect pillow. The side pillow will not slip out of place, even for active sleepers. that has probably been around ever since mankind first slept in beds. Sometimes, the best ideas are so obvious that they only need a little bit of Swabian inventive genius. This was the case with Royal Vario, our first duvet with a variable button-on layer. all-seasons duvet, making it an ideal match for all Royal combi duvets (from 2017), as they all come with the matching buttonholes. Royal Vario allows you to adjust your duvet precisely to where you need extra warmth, be it on your shoulders or at your feet – or anywhere in between. So simple, so brilliant, and so new! Royal Vario is a world’s first with patent pending. 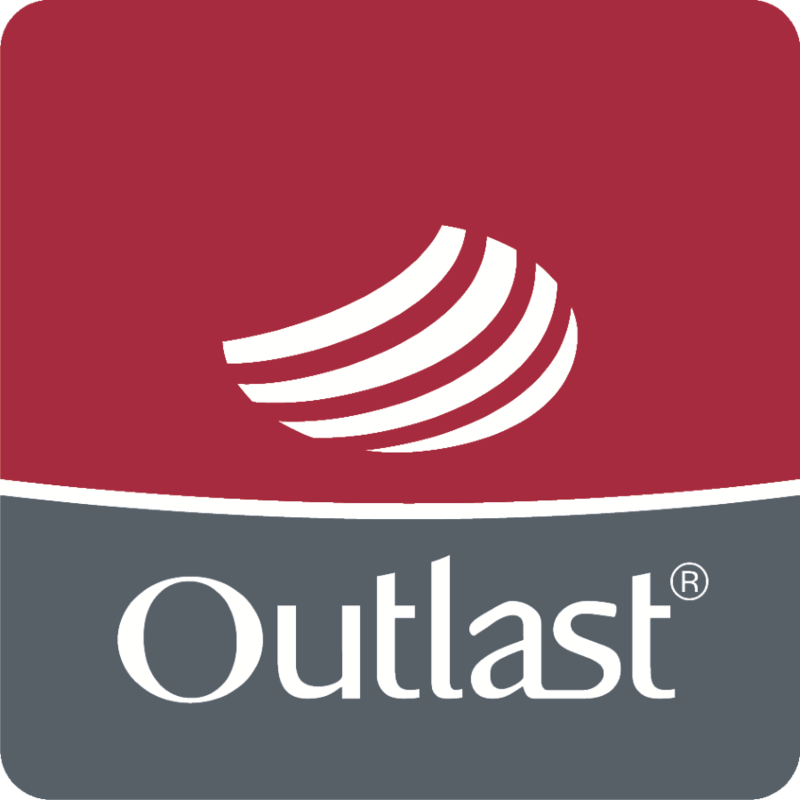 absolute miracle of climate regulation − thanks to Outlast®! For the best possible breathability and temperature regulation, Outlast® has been incorporated in both the casing and the filling of the Dynamic ultralight duvet, making it the ideal summer duvet. 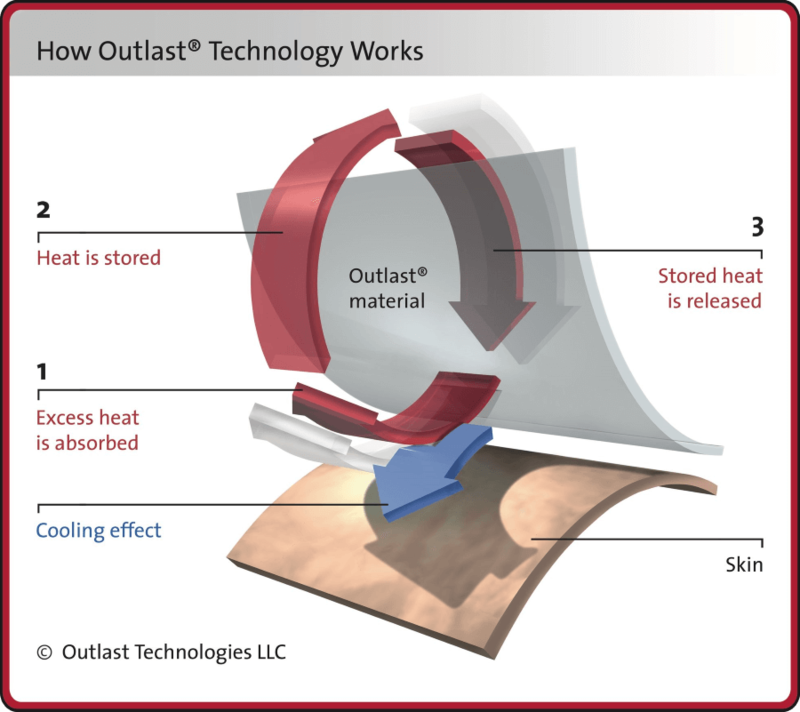 The temperature-balancing properties of Outlast® are based on innovative phase change materials (PCM), which are encapsulated and applied to the fibre as so-called ThermoculesTM. These ThermoculesTM can absorb and store excess heat. During this process, they change state between solid and liquid, hence the name “phase change”. Originally, Outlast® was developed for space applications and has been used umpteen times in NASA spacesuits. Outlast ® was awarded the Certified Space Technology™ quality seal, making the Dynamic ultralight duvet an absolute state-of-the-art product doubling as a supremely cosy and cuddly duvet. 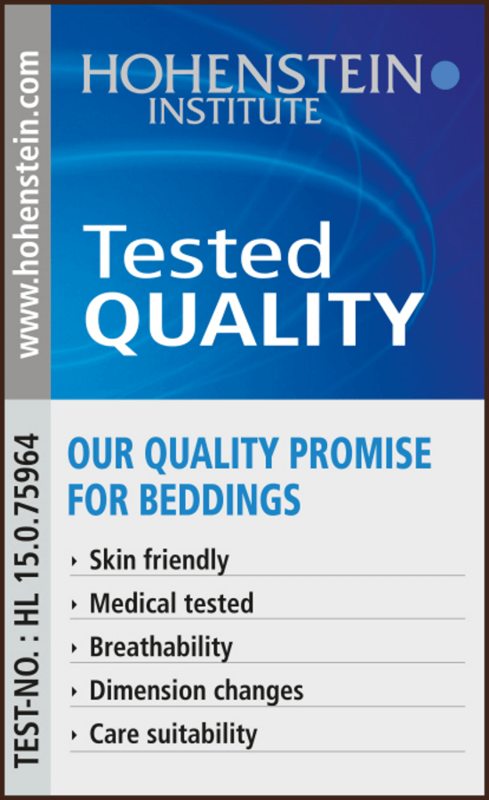 qualities of our Cosy duvet are equally excellent! The snuggly and velvety soft Cosy duvet is filled with 100% cuddly Optifill continuous fibres. 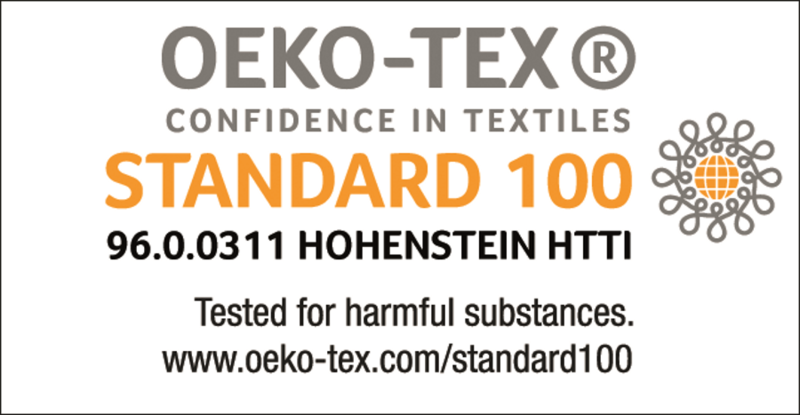 The quilted pillows also contain our tried-and-tested high-tech filling that keeps the pillows fluffy and provides support for many years. Cosy is available as all-seasons or solo duvet in the sizes of 135 x 200 cm and 155 x 220 cm. The matching pillows are available in the sizes of 40 x 80 cm and 80 x 80 cm. Without extra bed linen, Cosy is an elegant and luxurious eye-catcher in your bedroom – in elegant white and stylish light grey. Cosy will gently lull you to sleep with its velvety soft surface, night after night. certain time. The Stripes duvet is filled with an Optifill continuous hollow fibre that keeps the filling fluffy, voluminous and dimensionally stable. The Stripes duvet comes in the popular standard sizes of 135 x 200 cm, 155 x 220 cm, and 200 x 200 cm. The striped pillows are also available in the popular sizes of 40 x 80 cm and 80 x 80 cm. With its casing, the Stripes duvet shines as elegant eye-catcher in your bedroom, while the filling is of compelling quality. The duvet’s outstanding snuggle factor is on top of it. the seersucker side towards your skin, as the soft puckered effect allows for better air circulation. 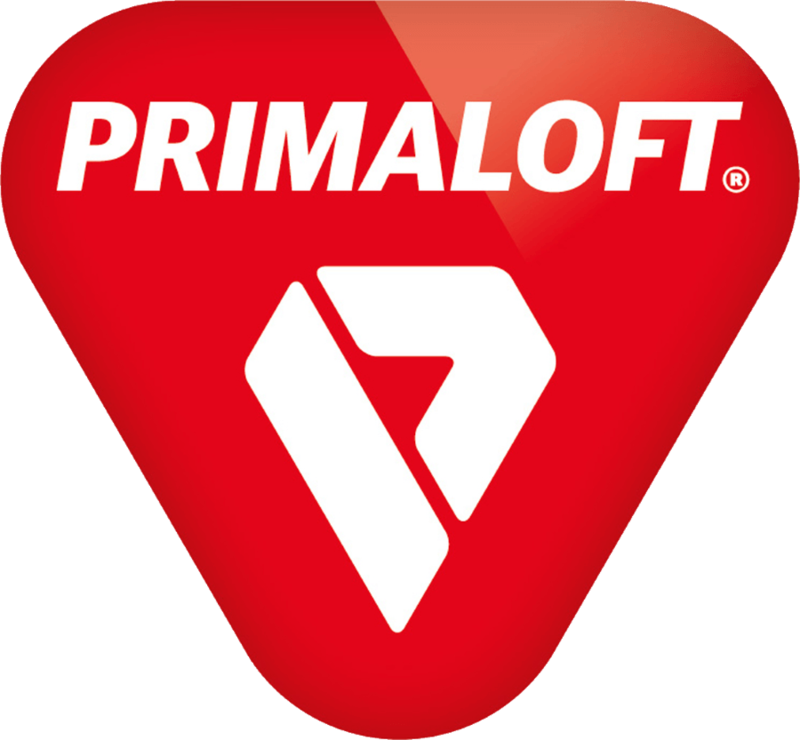 Structure is filled with Primafill microfibre fleece, giving you optimum breathability on the hottest nights of the year without losing the snuggly feeling of bed linen against your skin. Structure can also be used as perfect travel duvet or plaid, just as you like it. Structure is available in the two popular sizes of 135 x 200 cm and 155 x 220 cm. 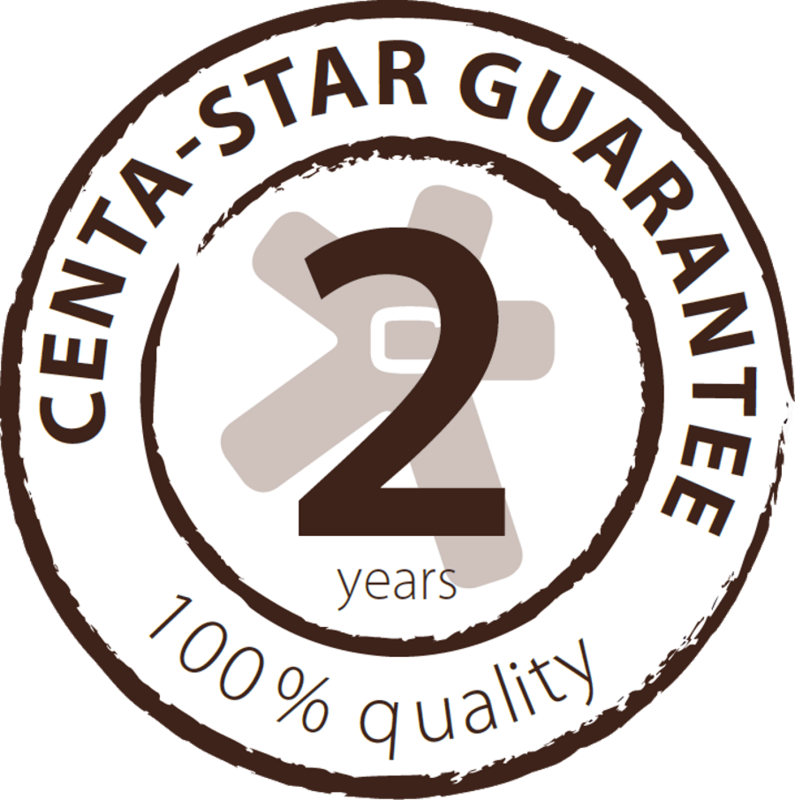 As you would expect of Centa-Star, the duvets feature length stitching to fit the body. The quilted pillows are also available in the popular sizes of 40 x 80 cm and 80 x 80 cm. Golden Fame − silkily soft and alluringly lightweight for a sleep experience fit for a king. We present this very special duvet with a filling of pure goose down and an alluringly soft casing finished with elegant shining gold piping. This elegant gold piping makes Golden Fame as duvet together with the matching pillow a splendid highlight. A duvet with a filling of 100% goose down simply is a dream. Alluringly fluffy, soft and lightweight for the ultimate sleep comfort. And a tiny unique feature − golden piping − gives you the delightful feeling, even through the bed linen, of being covered by a very special duvet. It is often the little things that make a product into something very special, and Golden Fame is no exception. The duvet and the pillow are bound all the way round with elegant gold piping to add an elegant air to the products. The filling of new, white European Class I goose down is elegant and exclusive, too. That certain something is evident from the very first touch as the soft, voluminous and lightweight down filling is encased in a fine maco percale made from 100% white cotton. Golden Fame is available as 6 x 8 plain down duvet in the medium version and as 5 x 7 baffle box duvet with 2 cm internal baffle wall in the warm version in the two popular sizes of 135 x 200 cm and 155 x 220 cm. The collection is rounded off with a matching triple chamber pillow in the size of 80 x 80 cm, which, needless to say, is also gently bound with gold piping. This very special collection has its own very special story. We found the soft down used in the Tradition duvet during a visit to the “Bauerles Besen” restaurant in Fellbach-Schmiden following our sales team meeting. The house speciality was home-grown goose, free-range goose to be more precise. In a natural meadow orchard environment in Waiblingen-Bittenfeld, the geese are raised in harmony with nature and fully in line with the requirements of the breed. Sustainability, animal welfare and social responsibility are vitally important in the long-established and family-run business of the Bauerle family. As these free-range geese are lovingly raised to maturity by hand beneath the open skies, their feathers and down are of premium quality, soft and gleaming white. To bring this alluring down into its own even more, we encase the filling in an even lighter fabric with an elegant, luxurious gloss. Tradition is encased in 100% finest cotton batiste in platinum colour. The 5 x 7 plain down duvet Tradition, medium, is available in the two popular sizes of 135 x 200 cm and 155 x 220 cm. It is rounded off with a triple chamber pillow in the size of 80 x 80 cm with a particularly soft surface. Polar Platin is the extra special collection for the most exacting requirements. This special duvet will first catch your eye with its casing which is interspersed with delicate, glittering threads in gold and platinum. Polar Platin is an eye-catcher even in normal daylight conditions, but the sun’s rays falling onto this beautiful duvet create a real wow factor when its full splendour is reflected and the whole duvet glitters gently. The casing is made from a fine, luxurious down sateen and lurex threads delicately interwoven to a discreet stripe design − let yourself be pampered. The filling is also soft, consisting of 100% Class I goose down. Polar Platin is the most luxurious duvet of our “limited” collections this year. With its stylish and clean look, this truly luxurious duvet is far too beautiful to be hidden in bed linen. Polar Platin is available as 6 x 8 baffle box duvet with 2 cm internal baffle wall in the medium version in the two popular sizes of 135 x 200 cm and 155 x 220 cm. The collection is rounded off with a matching triple chamber pillow in the size of 80 x 80 cm, which, needless to say, also gently glitters.